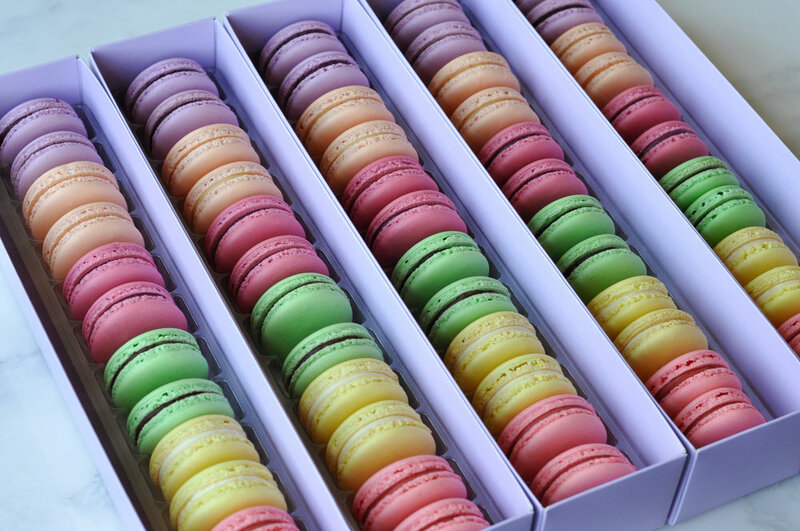 Spring Macaron Flavors: Black Currant; Passion Fruit (using Valrhona Passion Fruit Inspiration); Tayberry (a kind of raspberry/blackberry mix); Mint Julep; Lemon Cream; & Strawberry (using Valrhona Strawberry Inspiration). Local Atlanta delivery available. Please provide address for an estimate.